This is, of course, just the standard 2d6 D&D reaction roll (the best social mechanic in the history of RPGs). The part that stood out for me was the application of the lead character’s charisma to the check. For games with a Moldvay style ability score modifier, this would lead to an interesting trade-off, as the character with the highest charisma is unlikely to be the best frontline fighter. Do you want to expose a potentially more vulnerable character to frontal assaults in return for a greater chance at indifferent and friendly reactions? Trade-offs like this are what make the game interesting to me. After the first round, the DM should modify the 2d6 roll of the character talking for the group by the character’s Charisma bonuses or penalties. For the first reaction roll, the DM shouldn’t take Charisma adjustments into account. The adjustment to reactions may help or hinder “first impressions” when talking to an encountered creature or person (see Monster Reactions, page B24, and NPC Reactions, page B21). The dice score is to be modified by additions and subtractions for such things as bribes offered, fear, alignment of the parties concerned, etc. 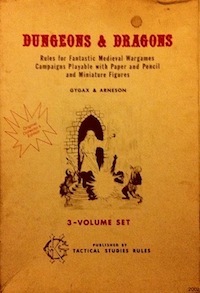 As expected, the OD&D version plays down character attributes in favor of player skill and strategies. For me, the ACKS passage brings to mind images of monsters slithering in the darkness of the underworld, but still fascinated by the otherworldly beauty or presence of some character like a bard, paladin, or elf. For some reason I find this compelling. It’s an interesting idea, though if followed strictly it might lead to characters with leaders that have 18 charisma (+3 in ACKS) never being attacked immediately by creatures that use the reaction table (some creatures, like undead and mortal enemies, are of course a special matter). This entry was posted in Uncategorized and tagged ACKS on August 27, 2012 by Necropraxis. OD&D has a similar table on page 12 of M&M that does indicate that the result is adjusted for charisma. It’s unclear when this table is supposed to be used rather than the one in Vol 3 (though they are the same except for the scores for 2 and 12). Holmes condensed these to just one table for all monster reactions where the DM “should make adjustments if the party spokesman has high charimsa or offers special inducements” (pg 11). The way I read the table on M&M p12 is that it is intended for negotiation with potential retainers, not for general reaction purposes (as the TU&WA table seems to be). I think this is buttressed by the entries (“Accepts offer”, “Enthusiast, Loyalty +3”) and the reference to the same table on the next page suggesting that it may be used as a morale table. But you’re right, adjustment for charisma is noted there. The Dungeon Master should make adjustments if the party spokesman has high charisma or offers special inducements. While this is more ambiguous than than the “lead character” wording, it seems that “spokesman” implies that parley has been initiated, and thus would not be valid unless the party had an opportunity to talk (and thus another reaction roll). In cases where the reaction of the monsters to the party is not obvious, a reaction roll may be made. The Game Master rolls 2d6, adding the Charisma bonus of the “lead” character (or applying his or her Charisma penalty) along with any other adjustments he or she feels are reasonable, and consults the table below. That’s really interesting; thanks for bringing it to my attention. I wonder how much other text from Basic Fantasy is preserved in the clones. Back when I was trying to decide which clone to use with players who were not very familiar with Old School play, I was quite surprised by how close BF was to Moldvay (which was my touchstone for desired game). I think the answer to Brendan’s conundrum in the last paragraph, is that most of the time, the reaction to the party is obvious: attack on sight, and not just for undead. Well, I don’t think it’s really a problem per se. If you want lots of combat, the solution is simple: just don’t use the reaction roll. I actually like there to be more variance in approach, because that frees me from needing to worry about encounter balance and allows players the option to be more creative than deciding between the fight or run binary.